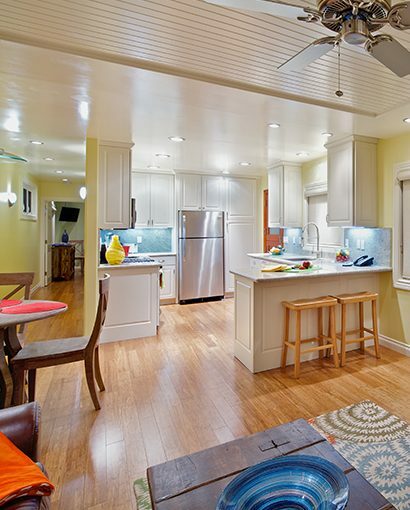 The perfect accommodation for medium to large family needing privacy. 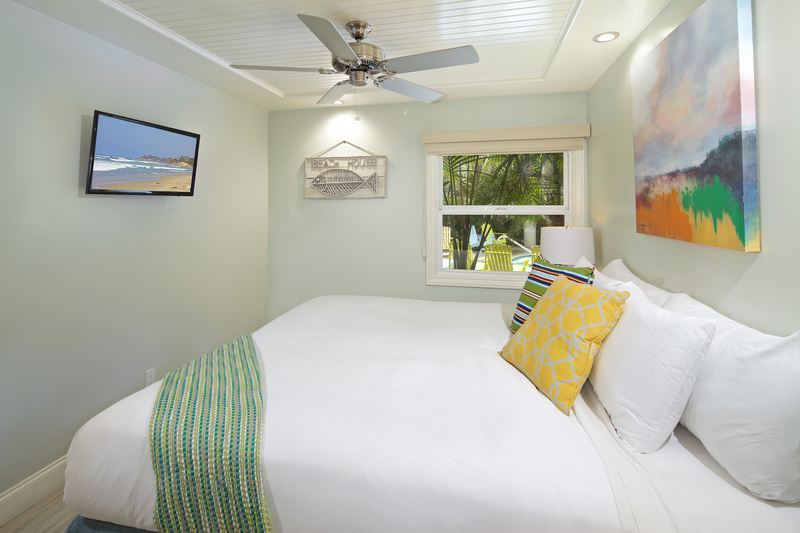 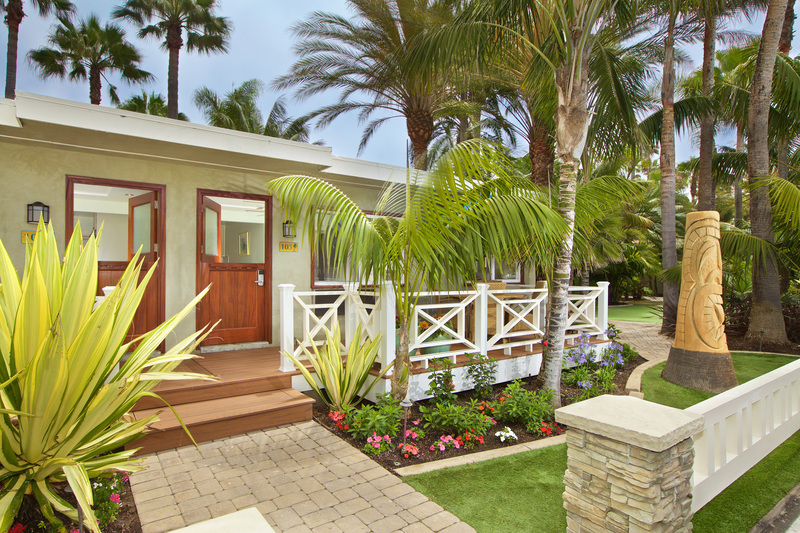 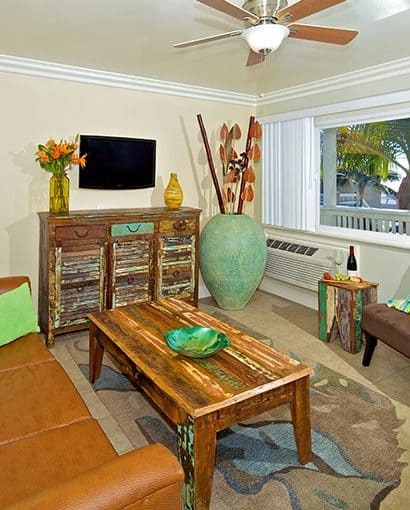 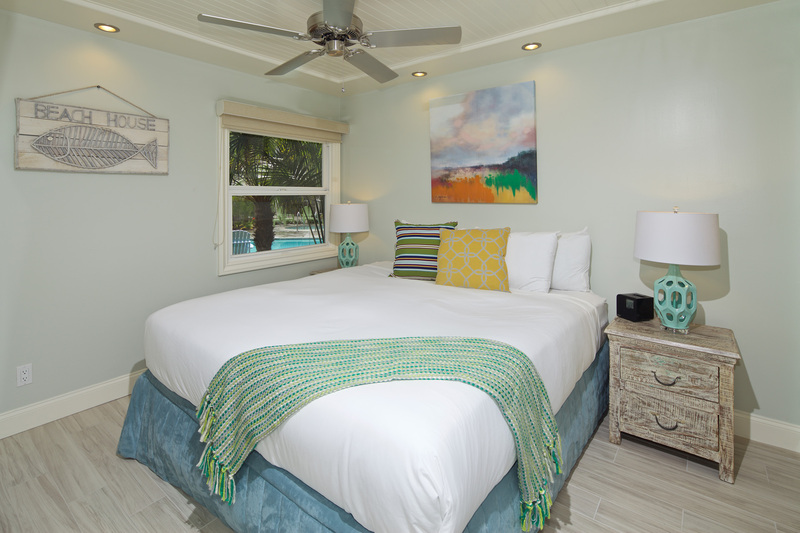 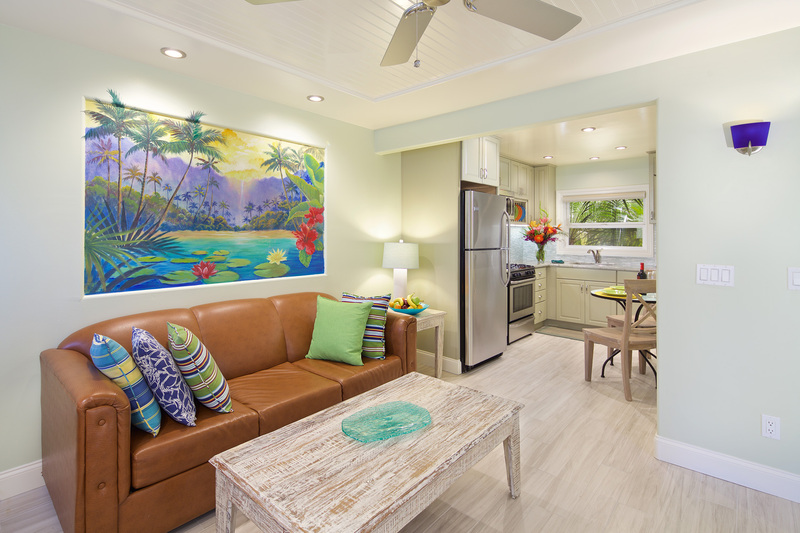 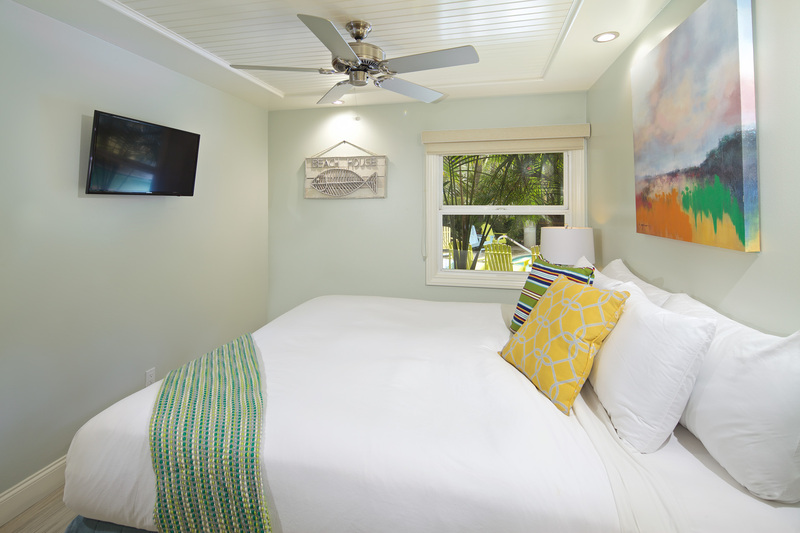 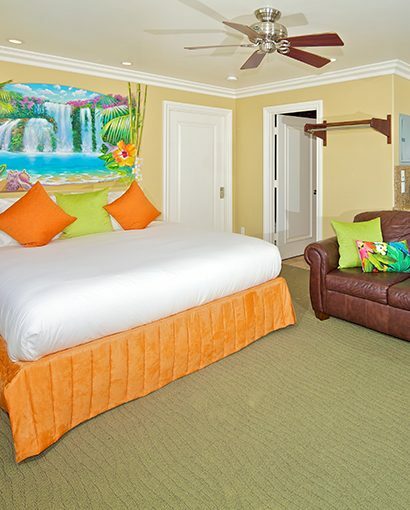 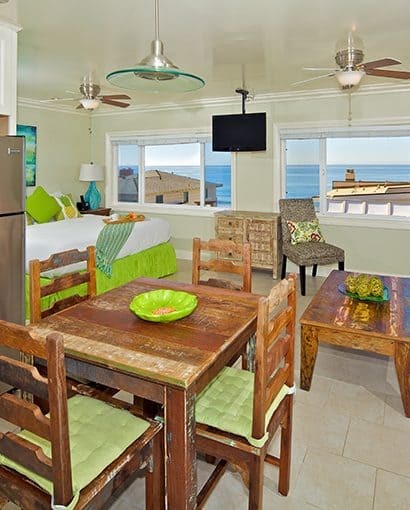 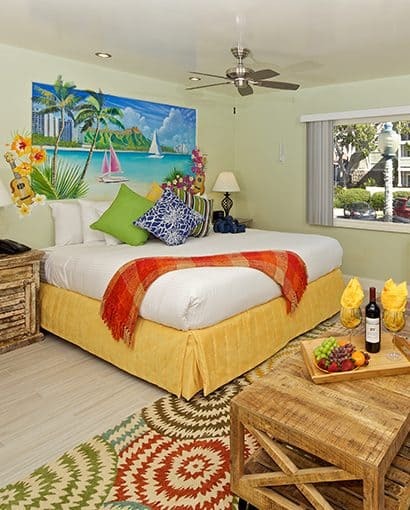 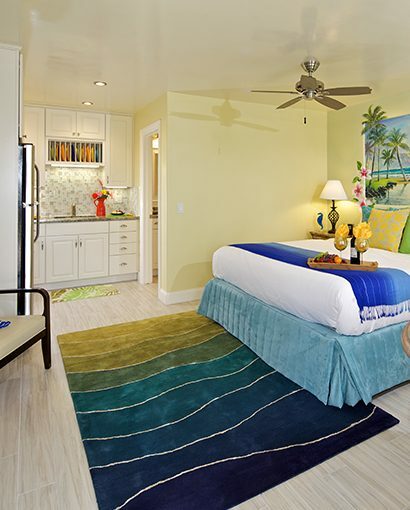 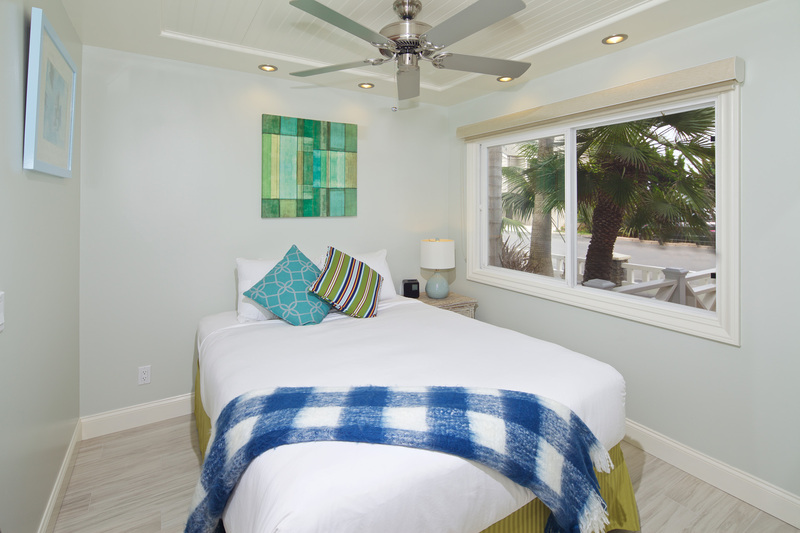 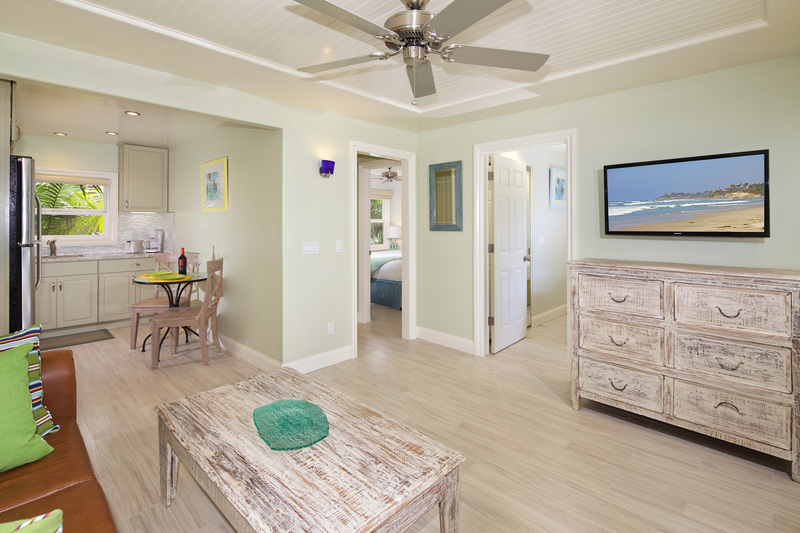 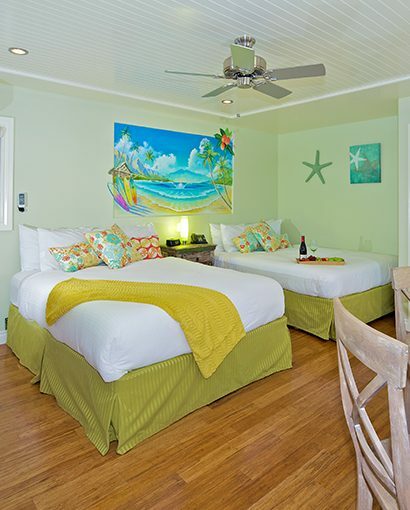 Located on Ocean St with direct street access, this beautifully renovated with top quality furnishings and beach chic design features two Queen private bedrooms, one bathroom, living room with a Queen pull out sofa, and a private lanai. 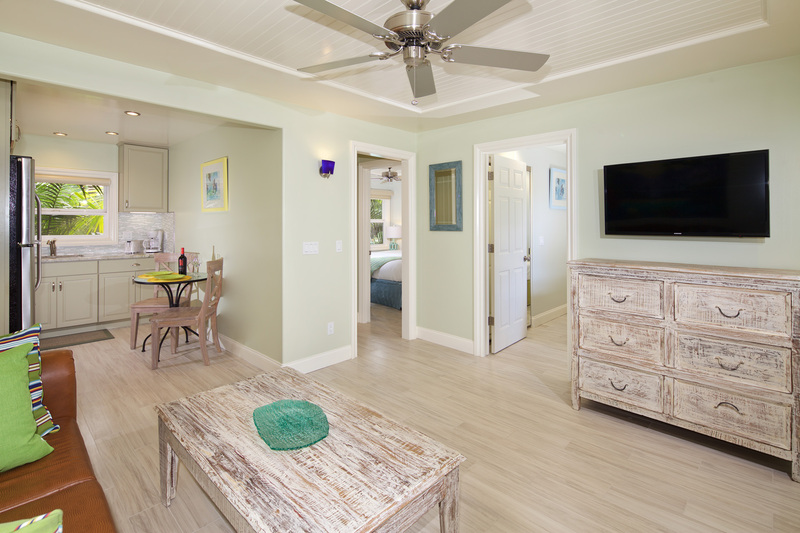 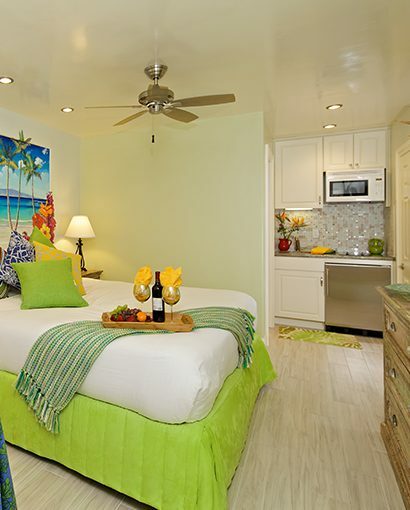 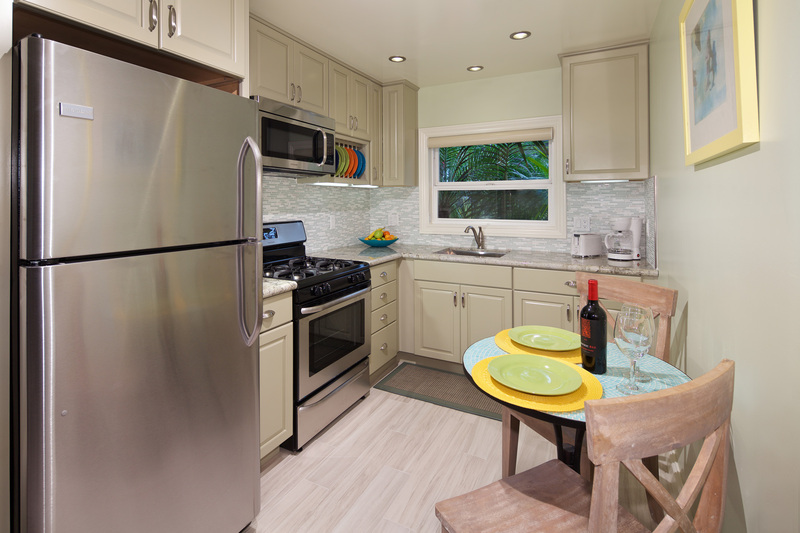  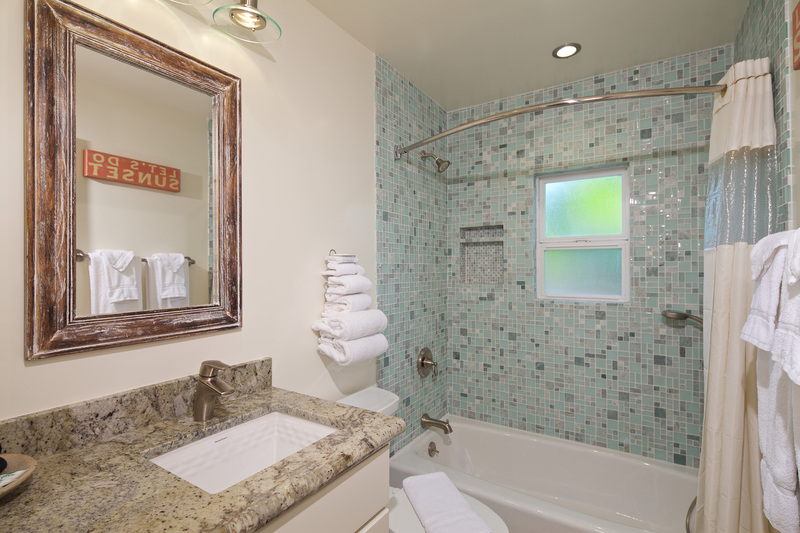 The 575 square foot suite also has a large full Kitchen with a microwave, oven, stove, full-size refrigerator with freezer, a 50” LED flat screen TV in living room and 32” LED flat screen TV in Bedroom with HD Cable, and free Wi-Fi.